Happy Friday. It is hard to believe it was just last week that I went to Schaumburg, IL to try some new favorite restaurants as part of a super-preview of Meet Chicago Northwest Restaurant week. (Check back on their website soon to see the participating restaurants.) I’ll remind you again that the dates are February 23, 2018-March 4, 2018 so you can make sure you plan a trip to the Northwest Suburbs of Chicago. 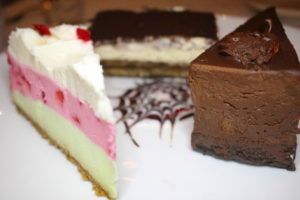 The final restaurant for this Foodie Fun Day was Chicago Prime Italian (1370 Bank Drive, Schaumburg, IL). If you are thinking the name is awfully familiar to my last post, it isn’t a typographical error…it is owned by the same family! Finding a family owned restaurant in an area filled with chains means one thing….you will be able to taste the love in the food. The chef (who not only knows how to cook phenomenal food, he knows the history of where dishes were originated) made me a special appetizer sampler so I could let my readers get a better feel of what to expect at Chicago Prime Italian. 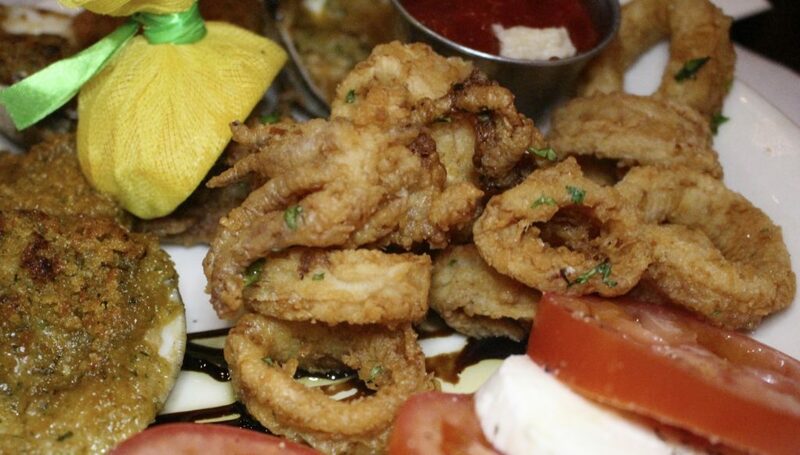 My platter included fried Calamari, Shrimp de Jonghe, Baked Clams and Caprese Salad. This is the kind of calamari you want when you order…the coating was crisp but it didn’t overpower the firm almost sweet flavor of the squid. I usually have to dunk my calamari in cocktail sauce but this was so good I forgot! 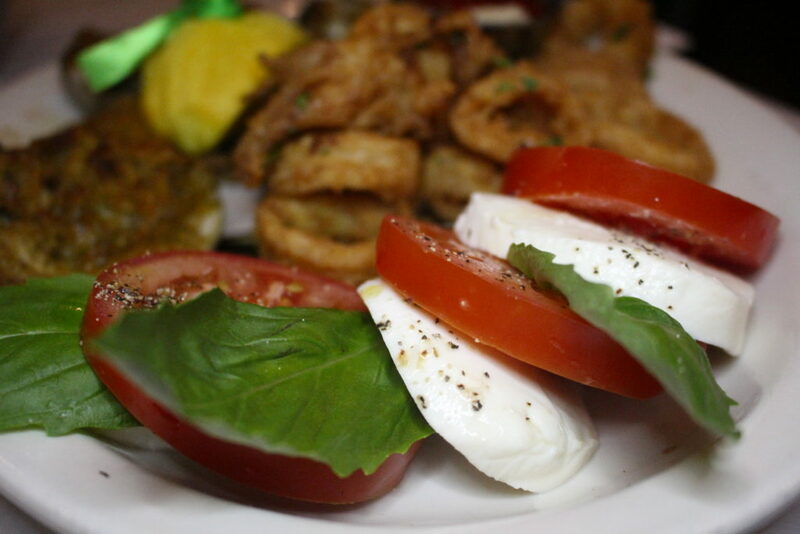 The Caprese salad is a great option when you want a fresh, light option with your meal. Locally grown tomato slices simply layered with fresh mozzarella cheese and fragrant basil leaves. Add a little drizzle of extra virgin olive oil and balsamic glaze and the ingredients speak for themselves. My entrée or should I say the main event was offered on the menu as a Zuppa di Mare (In Italian, Zuppa means soup and this is far from a soup). 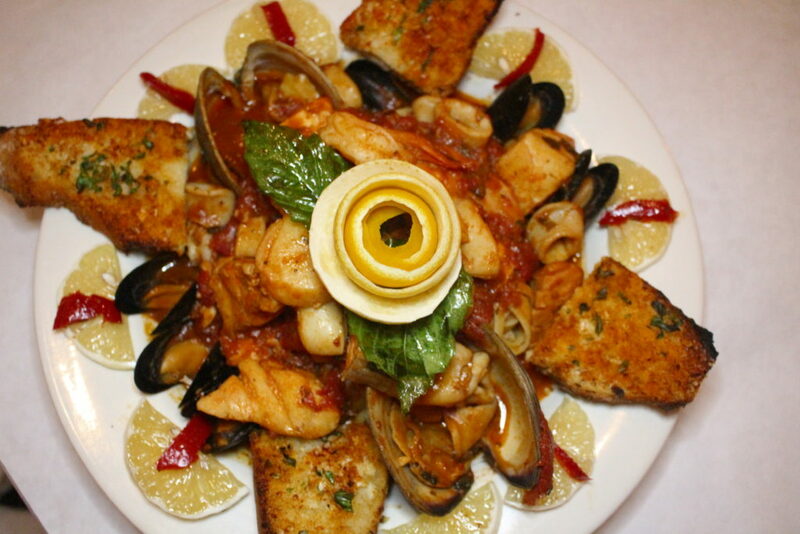 A fabulous bowl of linguine in a mildly spicy tomato sauce with more seafood in it than the ocean. This was like an Italian Christmas Eve in a bowl!!! Thank you to Chicago Prime Italian for hosting me for this lovely meal. I truly left feeling like part of your wonderful family. And a special thank you to Meet Chicago Northwest for introducing me to all of these great restaurants. I’m sure my readers will try them all and will have their own Foodie Fun Days when they come to the Northwest Suburbs for Meet Chicago Northwest Restaurant Week next year.